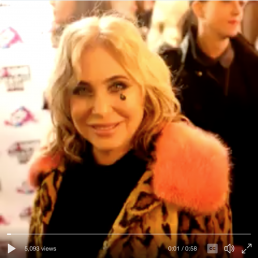 Brix Smith Start short interview at NME Awards last week with 6Music's Georgie Rogers talking about Mark Smith's legacy. We are moving our digital back catalogue to Cargo Records, one of the UK's leading independent music distributors. This will take a few weeks. In the meantime we're afraid that our catalogue cannot currently be downloaded from iTunes, Amazon and other digital shops or streamed from Spotify, etc. We'll announce when things are back to normal. In the meantime most of our catalogue is available to be streamed from the Blang shop. 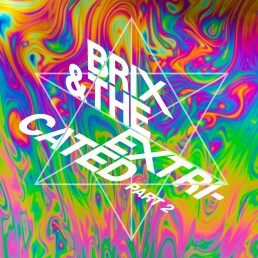 The debut album from Brix & The Extricated is out now and has entered the vinyl album chart at number 38! "Part 2" (BLANG 73) is available on black or clear vinyl, CD and download. "Part 2" was produced by John Reynolds (Sinead O'Connor, Eno, Dubliners, David Byrne). New single "Moonrise Kingdom" entered the vinyl single chart at number 28 (with many of the entries being golden oldies eg Bowie, Floyd, Doors). Pop-punk story-telling from the diaries of Lucy Joplin. Helping her shake a Buzzcocks/Blondie cocktail are Ian Button (Death In Vegas, Papernut Cambridge, Sergeant Buzfuz) on drums, Mike Stone (Television Personalities, Rapid Results College) on bass and JJ Crash (JJ Crash) on guitar. RRC feature Rob Boyd (ex The Hillfields) on vocals/guitar, Mike Stone (Television Personalities/Lucy's Diary) on guitar/vocals , Owain Evans (Rapid Results College) on drums and Terry Tyldesley (Feral Five) on bass. They play guitar pop songs with a C86 flavour about the cities we live in, our hopes, dreams, and calamities. Kate Arnold plays a rare solo show away from her experimental folk conjurors Fear Of The Forest. Kate is currently on a genealogical odyssey ,writing songs about her family history based on her father's research. So we hear tales of forebears like Captain Swing, leader of the 19th century Swing Riots. And a gypsy great grandmother. The stories are accompanied by Arnold's sweeping violin playing and intricately threaded with shimmering loops of hammered dulcimer. Kate is an ex-member of Sergeant Buzfuz and Thee Awkward Silences and has played with Senegalese kora player Doudou Sissoko, Greek neo-folk troupe Daemonia Nymphe and English folk singer Lisa Knapp. Which gives an idea of the breadth of her influences. 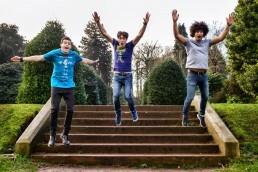 Liverpool three-piece Sheepy talk to us about their humorous music video for ’15 Songs (In An Hour)’. '15 Songs (In An Hour)' is a song about constant creativity featuring contagious post-punk with a massive power-pop heart at the centre. This is the first single from the band’s new album ‘Alarm Bells’ scheduled for release on April 9th via Blang Records. Where was the video for 15 Songs (In An Hour) filmed? The video was filmed in an old primary school in Toxteth, Liverpool which is now occupied by some of our friends who kindly allowed us to use their hall. Bobby Stickah, who produced the video came up with the idea of making writing songs "A sport". The song is about writing songs quickly and pushing yourself to do so, whilst the video shows this being done, whilst also doing physical activities. The theme is based on badly shot 80s programmes and this is shown in the shots, our image and our cheesy interactions. The last scene we filmed (which is the first scene of the video) we tried to make it really smoky from the smoke machine. Unfortunately this set off the fire alarm, which went off throughout the building. Most of the people living there weren't aware we were filming and got quite a surprise to see us in our 80s gear. Also it was absolutely freezing when we filmed in early January. We had to keep running round to keep warm. Can you talk us through the themes and imagery used? We became 3 characters, Ruud Mullet, Ron Wanweird and Skreetch. We brought some of the important things like the stopwatch and the desk, but most of the things we used we just found in the school on the day, (the ropes, the ping pong table and even the chairs). We just had fun and decided on the day what we would use and how. Is there a message you hope people might take from watching the vid? There wasn't a message we just wanted it to look as fun and as tacky as possible. The shots might remind viewers of old TV shows they used to watch. We had a lot of fun filming it. Live performance and Interview with Luke and Ollie from Sheepy. They perform 3 tracks Live on "The Liverpool Sound" on Made In Liverpool TV Channel. : Parties on The Lane, Bed No More and Crosby Writers Club. Aired on 6th February 2017. Sheepy's new album "Alarm Bells" is out on 7th April 2017 on Blang Records.